This image was taken by a European Space Agency satellite last month, it shows the Juan Fernandez islands, 800 km off the Chilean coast in the Pacific Ocean. The two largest of these islands are 1650 and 922 m high, this is high enough to affect the cloud patterns making pretty patterns in the sky! As the wind flows past the island the mountains cause drag – wind speed increases further above land as the land causes friction (shown in the picture below). 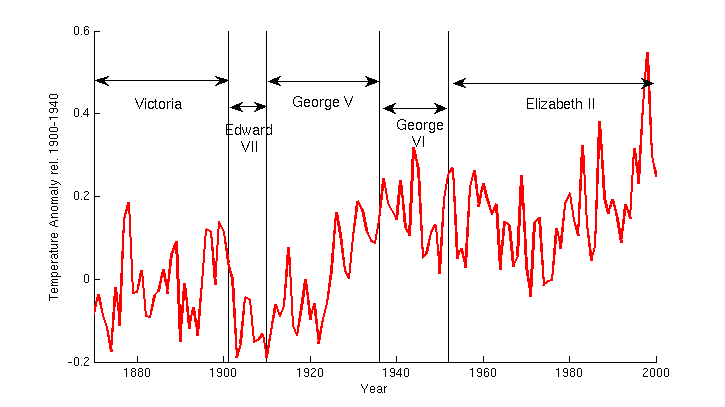 The change in speed causes regions of the atmosphere to have sharp velocity gradients. Where there are large changes in the wind speed vorticity occurs, leading to the observed vortices as the wind passes the mountainous islands. 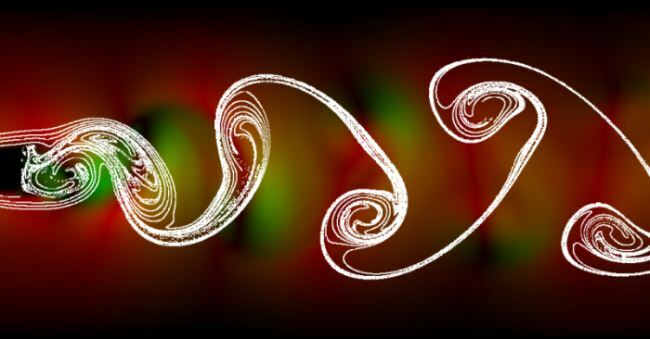 This process, known as Karman vortices, depends upon the wind speed and island size, for smaller islands a larger wind speed is needed for the patterns to appear. 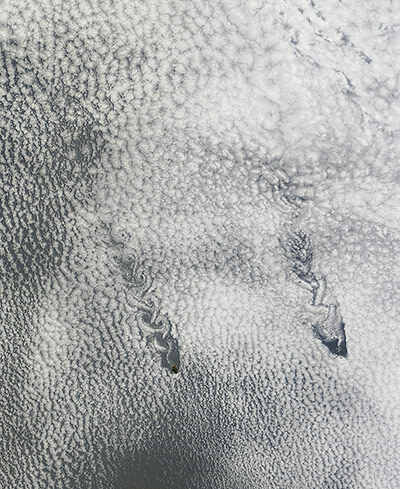 It isn’t only on this large scale that Karman vortices are found though. They can also affect building so engineers need to be aware of the atmospheric turbulence they can cause when building skyscrapers and Karman vortices can also cause car aerials to vibrate at certain speeds.